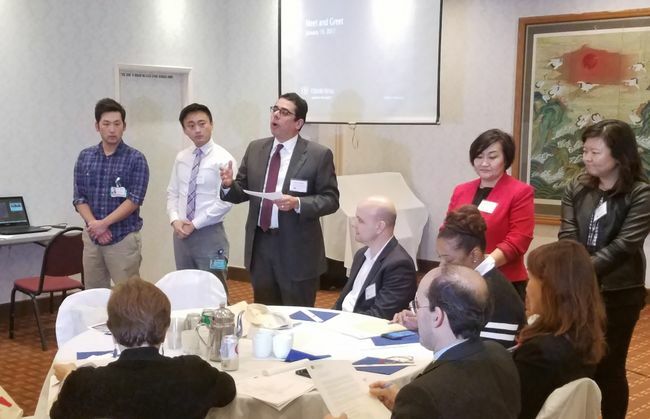 Cedars-Sinai Medical Center introduced its upscale facilities, staff and research topics to the Korean-American community for the first time in a press conference on Jan. 19. “Our belief is that our hospital must continue to look after our neighbors for the next 115 years as we did for the last 115 years,” said Cedars-Sinai senior vice president Arthur J. Ochoa. As of today, Cedars-Sinai has a staff of 60 Korean employees. “We’re conducting various researches on diseases that many Koreans are prone to, such as stomach and intestinal illnesses,” Ochoa said. Cedars-Sinai’s biomedical sciences professor Jayoung Kim echoed Ochoa’s sentiments. Established in 1902, Cedars-Sinai is a nonprofit medical center with 886 beds at its current facilities in addition to 2,100 doctors and 3,000 nurses and health care specialists. It has been chosen as one of the best hospitals in the country by the U.S. News & World Report and has won the Consumers’ Choice Award at the National Research Corporation for 20 straight years. Moreover, Cedars-Sinai has invested its efforts in providing free health care to students from low income families.